Polish-born Ganna Walska was an operatic singer so unsuccessful that her failure as a vocalist is near-legendary: it inspired a theme of Orson Welles' Citizen Kane and has been described in numerous books. But, after giving up on her short-lived career as a singer, using the wealth she had amassed through a series of profitable marriages, she created Lotusland, a public garden considered one of the world’s most unique. When Mr. Furner says ‘Madame’ he is thinking of Ms. Ganna Walska, the Pole who established Lotusland in 1946, after putting her efforts to become an opera diva on hold. The musical fashion in which she summoned the gardeners was an echo of her career as a singer, or rather her failed one. But that did not stop Walska from insisting on being called Madame, as if she was an accomplished actress or opera singer. This and other such extravagancies were symptomatic of Walska’s vibrant character which is said to have found its reflection in her exuberant design of Lotusland. The 37-acre area, including a house and cottage where Walska used to reside, is divided into over a dozen themed parts, for example, the Blue Garden contains only plants with blue foliage and the Cycad Garden where you can find an extensive collection of various cycads, unusual palm-like plants that were most widespread long, long ago in the days when the dinosaurs still roamed the Earth. Among the greenery one can discover fantastic decorations Walska had had set up, like a fountain made from giant clam shells or the blue-green glass slag that lines the pathways. All of it came together, each millimetre of it was designed. Madame was able to afford the great expenses of creating this one-of-a-kind garden thanks to a near-legendary series of profitable marriages– among her six husbands were the incredibly rich Harold McCormick and Alec Cochran as well as the Russian count Arcadie d’Eingorn. Dorothy Comingore as Susan Alexander in the film "Citizen Kane", directed by Orson Welles, 1941, photo: © 1941 RKO Radio Pictures, Inc. 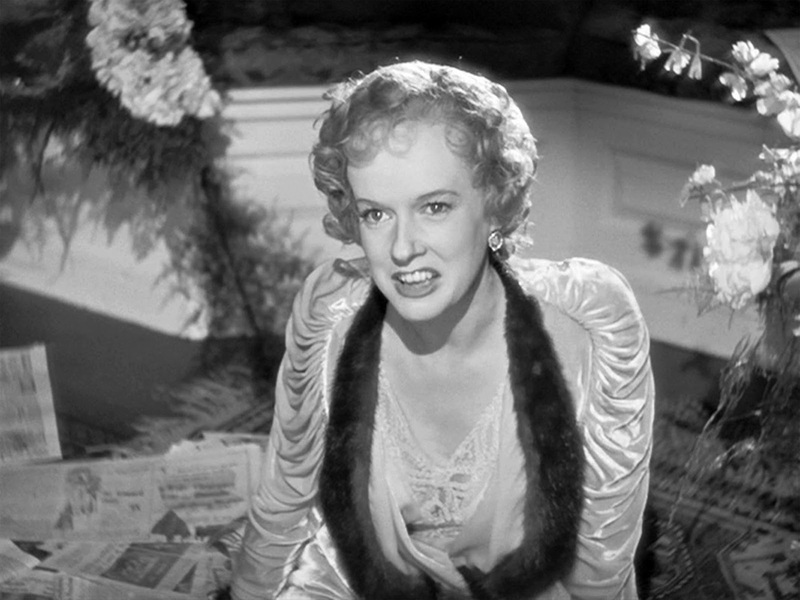 Her relationship with McCormick, a Chicago press mogul, and his backing of her unsuccessful attempts to become an operatic singer is said to have inspired one of the themes in Orson Well’s famous film Citizen Kane, namely that of Kane supporting his second wife’s hopeless vocal career. 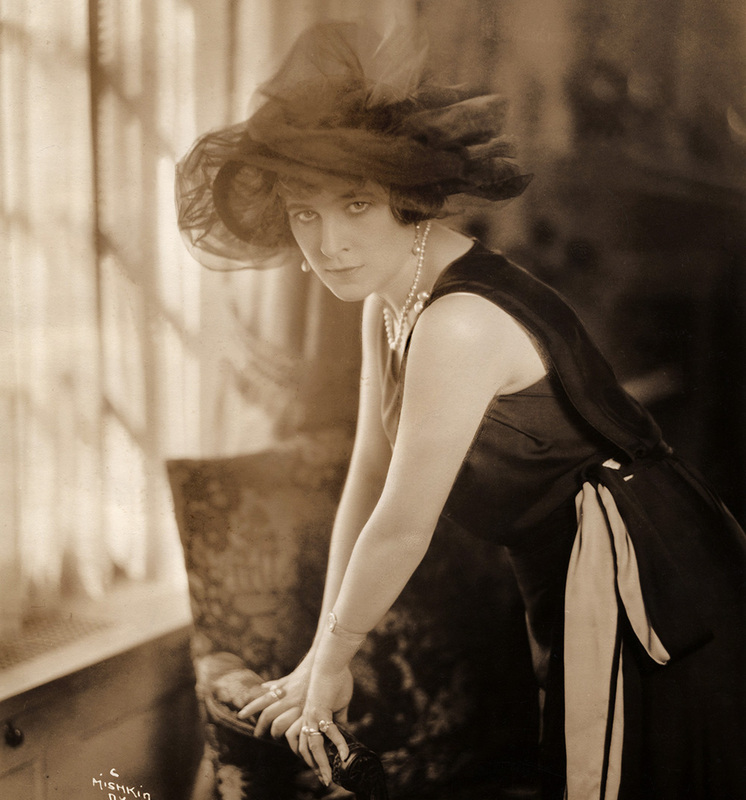 McCormick abundantly sponsored voice lessons for Walska and, as a big supporter of the Chicago Opera Company, was able to install her as the star of its 1920 production of Ruggero Leoncavallo's Zazà. And yet, Walska never got to perform. On the eve of the premiere, the show was cancelled. According to one version of events (there are a few), the conductor refused to put up with her awful singing. (…) Cuban audiences were notorious for letting their feelings be known right away. Walska soldiered on. The catcalls and jeers became well-aimed ammunition. Was it flowers or rotten tomatoes? We shall never know. (…) Then act two began, the audience was making so much noise Walska could not be heard. People were standing up and shouting, about to storm the stage. Some believe that Walska did actually have musical talents and that the ghastliness of her public performances was rooted in her terrible stage fright, not in her lack of ability to sing. Regardless of whether that was the case, she never fulfilled her dream of becoming a true diva, a dream that dated back to her days in Russia. Ganna Walska was born Hanna Puacz on 24th June 1887 in Brest-on-the-Bug, Poland into an average family. Back then, Poland was partitioned between Germany, Austria and Russia and Walska’s home town lay in the part occupied by Russia. As a teenager she moved to St. Petersburg, where she encountered d’Eingorn with whom she eloped in 1907. The marriage lasted only eight years, but it opened up the doors to a high life for Walska, causing her to take an interest in, among other things, opera. She took voice lessons in Paris and in 1914 decided to change her birth name to Ganna Walska, a name with more of a ring to it than Hanna Puacz. Despite her best efforts, she never had a successful vocal career. But even without becoming a diva, Walska attracted plenty of attention. She was a great beauty, a ‘femme-fatale’ one could say, with a ton of charisma. Men went crazy for her and would propose within days of meeting her for the first time. Her wealthy husbands would provide for her and her extravagant lifestyle: she owned a French château and the Theâtre des Champs Elyseés in Paris, or starting a completely unprofitable line of cosmetics. Until 1940, she spent most of her time between America and Europe, moving to the New World for good just before the Nazis occupied France. The veil of time hinders me from recapturing the exact sensations I experienced years and years ago. However, I am glad that I did put down at least the first episodes of these reminiscences while I was still in what I call the destructive period of my life. For certainly now that I am in a new cycle of living I am a different being, and my reactions towards my past inner life are different. 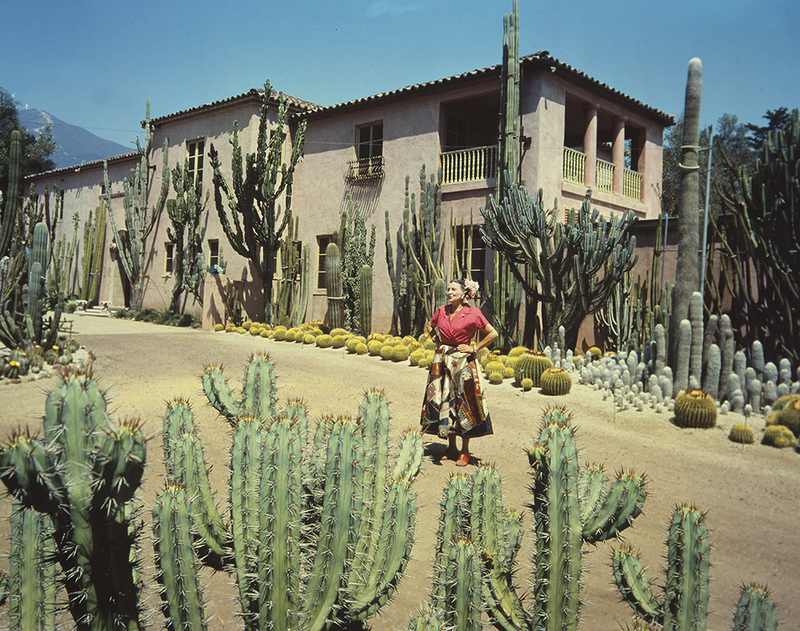 After purchasing the Santa Barbara estate which she eventually named Lotusland in 1941, Walska did indeed change her lifestyle quite noticeably. Instead of behaving like an aspiring soprano and international socialite (she’s said to have made the acquaintance of, among others, the noted Italian conductor Arturo Toscanini and Charlie Chaplin himself), she began to lead a rather withdrawn life – especially after divorcing her last husband, the yogi Theos Bernard in 1946. 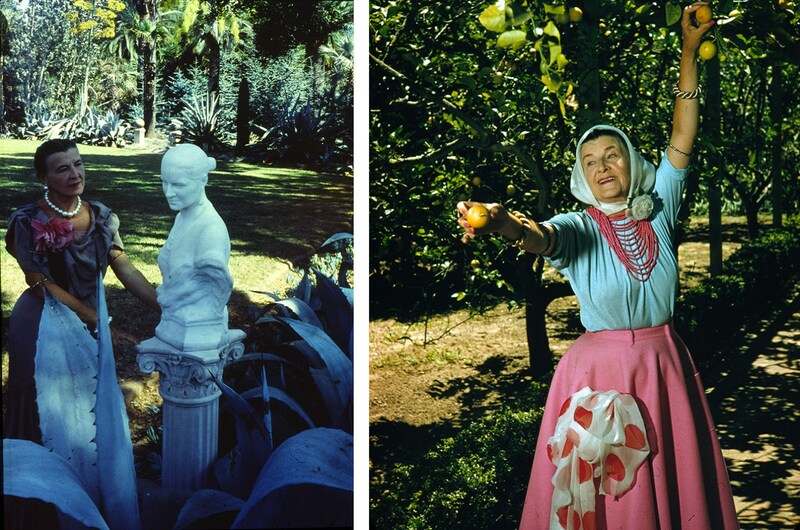 She dedicated all her time, sensibilities and resources to her garden –allocating almost a million dollars from a 1971 auction of her famous jewellery collection, Walska managed to create something extremely unique. The heavily landscaped and designed garden contained numerous beautiful, extroaordinary, eerie and rare plants as well as eye-catching decorative is among the most-recognised gardens in the world. In line with Walska’s will, after her death in 1984, it was opened to the public and today is open to visitors. Interestingly enough, even though Walska spent most of her life away from Poland, she took pride in being Polish. In her autobiography she used such expressions as ‘my Polish honour’ or stated that ‘anyone of our family was always born in Poland’ when she applied for U.S. citizenship in the 1950s.